Sun., April 2, 2017, 6:36 p.m.
GLENDALE, Ariz. – Gonzaga players talk frequently about following “a process.” But what exactly does that mean? “Owning the glass. Competing every possession. Making more free throws than they attempt and staying in attack mode the entire game,” senior guard Jordan Mathews said. There’s one specific and costly instance in which the Bulldogs strayed away from their process. 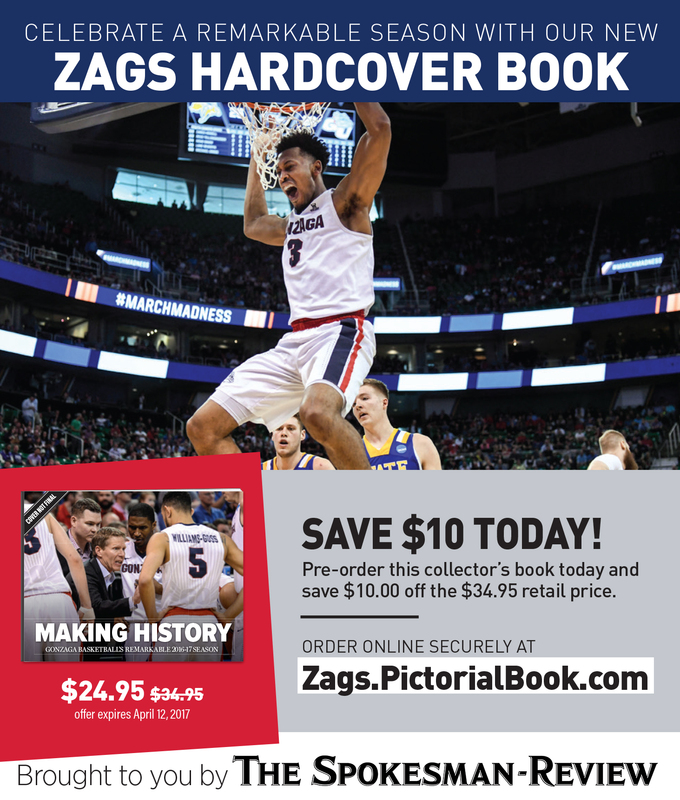 Gonzaga’s 79-71 regular-season finale loss to BYU at the McCarthey Athletic Center on Feb. 25 is the one blemish on the Bulldogs’ 37-1 record. 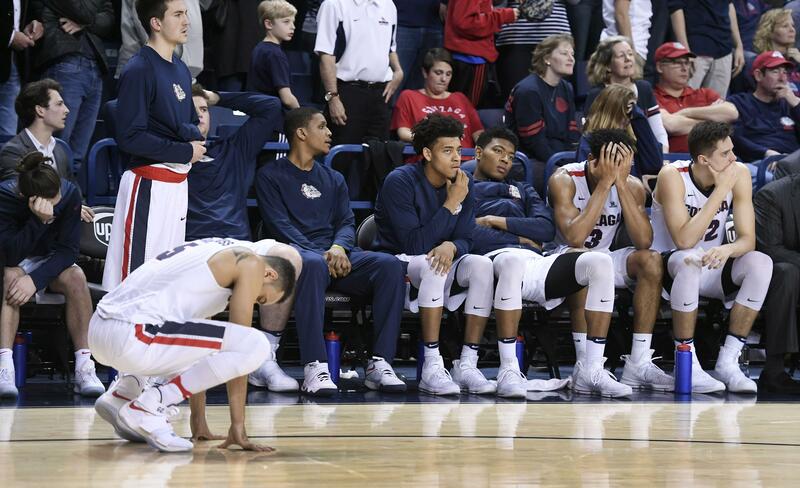 That memory of frustration and disappointment is well in the rear view for the Zags, who play against North Carolina for the NCAA national championship on Monday at University of Phoenix Stadium. But the team still thinks about how that game may have pivoted their season for the best. “It definitely helped us,” Mathews said. “Because we expect to win every game, and to lose that way showed us we have to really win every game. We have to make it happen. We have to go out there and do it. Josh Perkins still remembers it. The redshirt sophomore guard committed two turnovers in the last minutes to prevent the Zags from overtaking BYU late. Perkins doesn’t dwell on the mistakes. Rather, he focuses on the team’s ability to learn from it. Head coach Mark Few said he doesn’t think about the loss like his players do, although he’s proud of how his team responded. Published: April 2, 2017, 6:36 p.m.